Topic: My MM.db is a decade old. Thanks for all the fish MM! Re: My MM.db is a decade old. Thanks for all the fish MM! How do I exclude a folder path in a query? Need to prevent the result to list songs from a mix folder. Topic: How to set component/ini setting name w/special character? Have you tried to enable them using Chipset app and not windows one. 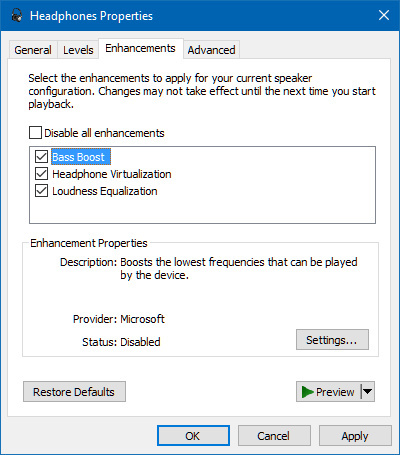 Realtek sound cards have own settings which work much better. Mine has Realtek/Dolby sound panel, but it only applies to the audio jack. I'm listening through my bluetooth headphones and Realtek doesn't control those. When I try to apply the sound enhancements in the Windows Sound setting, MM stops responding and eventually crashes. Topic: Any addon to show play history of a song? Any addon to show play history of a song? I want to be able to right-click on a song and have an option to view its play history. Is there any addon that allow me to do something like that? I'm having errors with installing this extension. I voted for C. The seeker is too close to the playback buttons in the other design that it might be accidentally touched. I got MediaMonkey running on Windows 8 fine with nothing wrong except this script throwing me this error and doesn't function like it suppose to. Does anyone know what's wrong and how can I fix this?